Excessive chewing can be detrimental if it is not directed towards items that are safe to chew on. 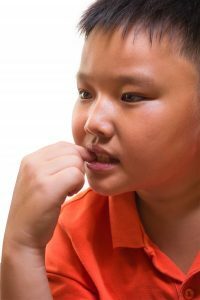 If you are the proud parent of a child who chews, well, just about everything from their fingernails to their sleeves, don’t lose hope! Many parents are in the same exact situation. Here are some simple sensory hacks to help you curb excessive chewing. Note: first consult your doctor about any inexpensive household items that you think your child can chew. Your doctor will be able to confirm that these items are safe for your child before they are used for chewing. This doesn’t work for everyone, but many children benefit from chewable jewelry. There are many different varieties available to choose from and subtle styles that serve as accessories as well. Whether your child is looking for sensory input or needs an outlet for excessive chewing, this jewelry can stand up to days of chewing. This entry was posted on Friday, January 20th, 2017	at 5:38 pm	. You can follow any responses to this entry through the RSS 2.0 feed. Both comments and pings are currently closed.